These are two sides who are evenly matched in the Euroleague this season. Both have 6-12 records in the season overall, with 4-6 records in the regular season and 2-6 records in the Top 16. It is probably fair to say that whoever loses this game can consider their play-off hopes consigned to the dustbin. It is not as if the winner will suddenly be transformed into a team that looks like winning a play-off spot, but they will at least be in a better space! The hosts have lost their last four games in a row, all by double figures, but they do at least know that they overcame Darussafaka earlier on in the campaign. That 7 point win on the road will give Cedevita some confidence while also giving them some leeway for the head to head record between the two teams, should it come down to it. A major problem for the home team can be found with the fact that they have a terrible defence, the second poorest in the Top 16 and they have allowed an average of 84.5 points per game. The away team comes into this game with a touch of confidence having grabbed their second win last time out, but they are now tasked with winning away from home. If they can achieve this feat, Darussafaka can claim that they are on the up and learning from their previous mistakes. One area that the team will need to improve on comes with turnovers, as their average of 14.6 turnovers per game is the worst in the Top 16. Semih Erden has been an instrumental figure for the away team this season and if he has a good game, alongside Luke Harangody who impressed last week, there could be something in this for the Turkish side. 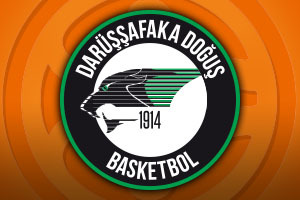 Taking Darussafaka Dogus Istanbul at +2, at odds of 1.90, is likely to be a smart move when it comes to bets for Thursday night. If you are looking at the Over/Under market, you will want to go OVER 148.0 which is on offer at odds of 1.90. Bet Now!